In case you haven’t already figured it out, I’m a big fan of no-fuss, no frills recipes. If I can set it and forget it, I’m all for it. While this recipe makes more than one or two servings, the end result is something that can be adapted for many other meals—as you’ll see later this week. 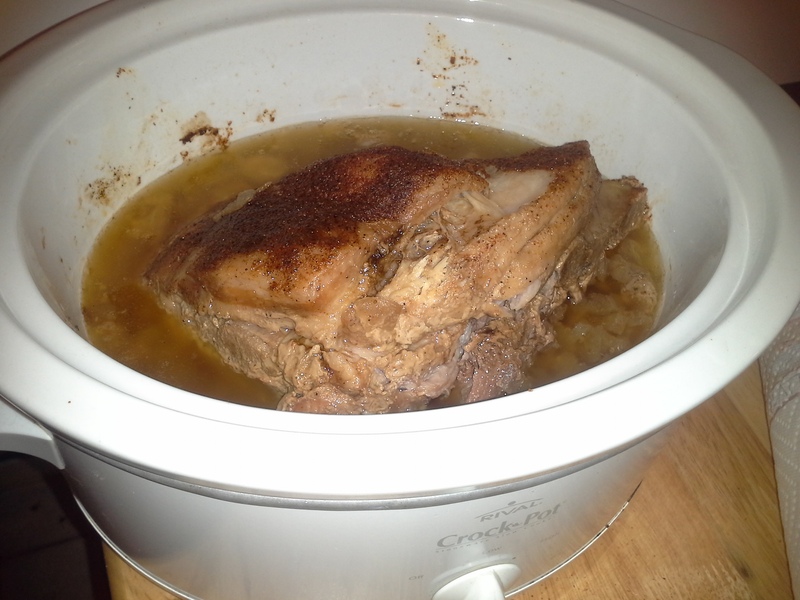 Medium or large slow cooker—make sure your roast fits into it with a little room to spare. If you pre-purchased your meat (on sale, as I did) and froze it, make sure it is completely thawed. Generously coat all sides of the roast with the seasoning. 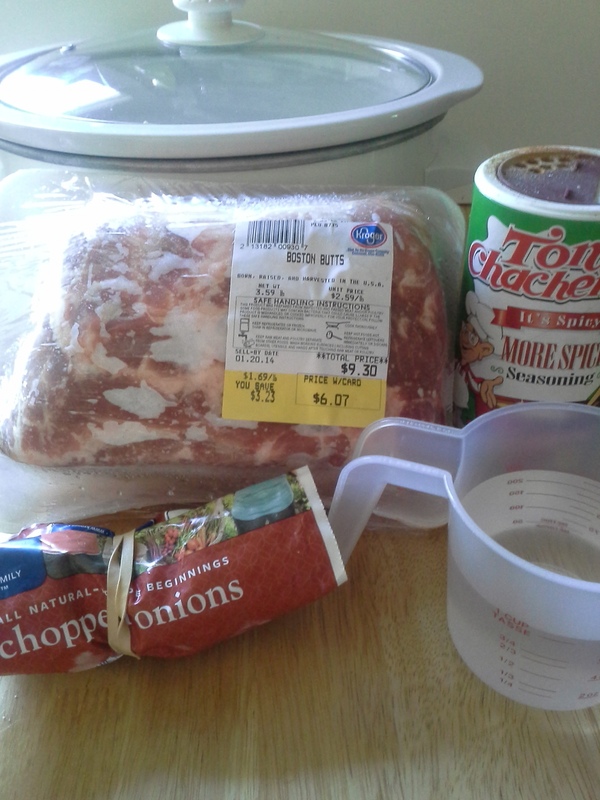 Add onion and water to slow cooker; then add roast, fat-side up. Cover and cook on low 8-10 (or more) hours. You will know it is ready when the meat is falling apart. You should be able to easily remove the fat cap before removing the roast from the cooker. Then just shred and serve. The easiest way to get this falling-apart meat out is to use two large slotted spoons and cradle it carefully. You’re still probably going to want to go fishing for any leftover pieces still in the au jus—you won’t want to miss one yummy morsel.